Cosmetically, this table is an 9.0 on a scale of 1-10. 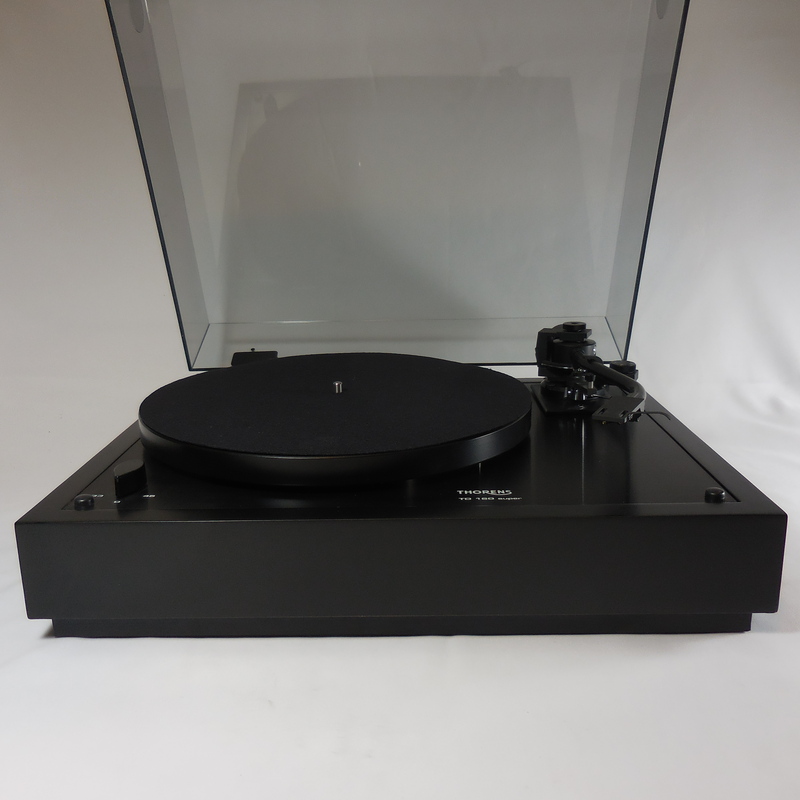 The original black painted surface was professionally sanded, primed, and finished in a very similar satin black. Some exceedingly small flaws in the paint are noticeable in certain light due to the nature of painting over a previously used surface. They are so small and light dependent they were not able to be photographed. The pricing reflects the 9.0 rating. The bottom is an original TD-160 ply bottom. 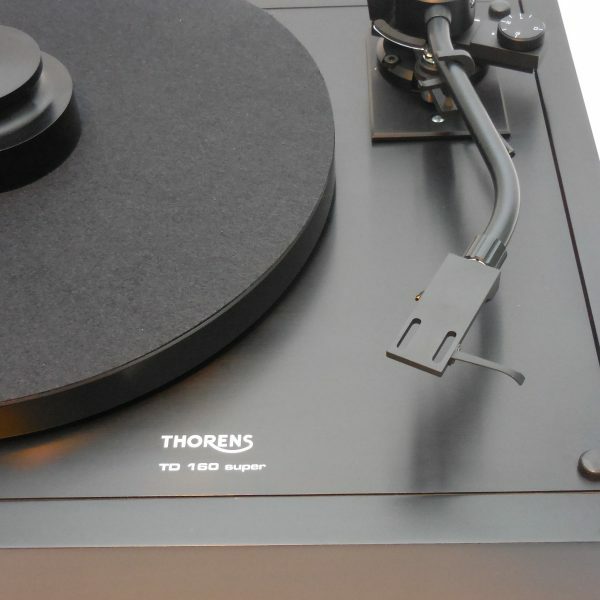 The original Thorens platter has been powder-coated, also satin back. 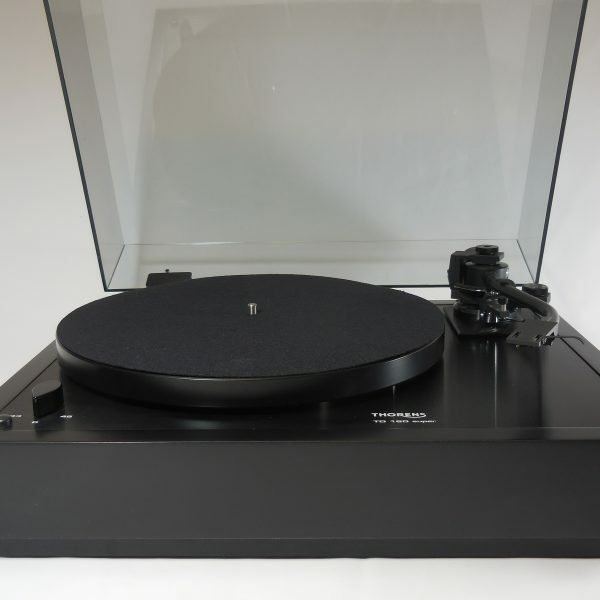 Note the used Thorens dustcover with original hinges is included, as well as the cork-rubber composite mat. The black Bren weight in a couple of the photos ADDS $85. Also note this features one-time package pricing due to the fact the 750DB is now replaced with the 550S. 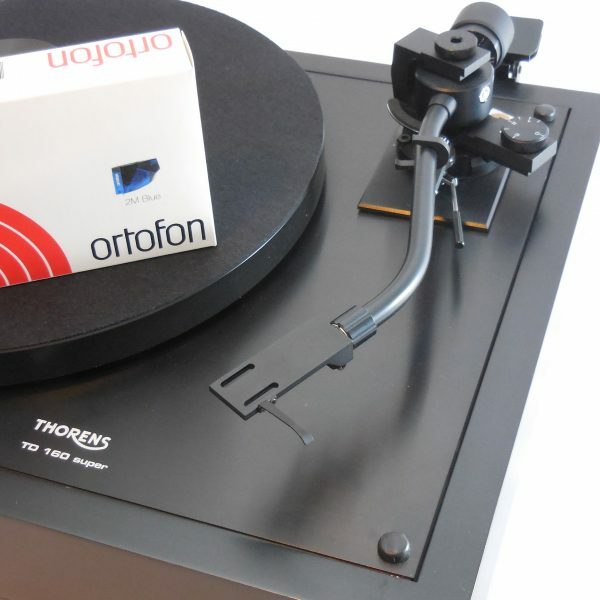 The Ortofon 2M Blue included! This moving magnet cartridge is brand new and will be mounted/aligned before shipping. It retails for $236 but is included here at the asking price. The cartridge will be mounted and aligned for you, making set up much less stressful for you. You can also upgrade to The Bronze for an additional $200; in my opinion, it is the sweet spot in the 2M line-up, offering the best price to performance. 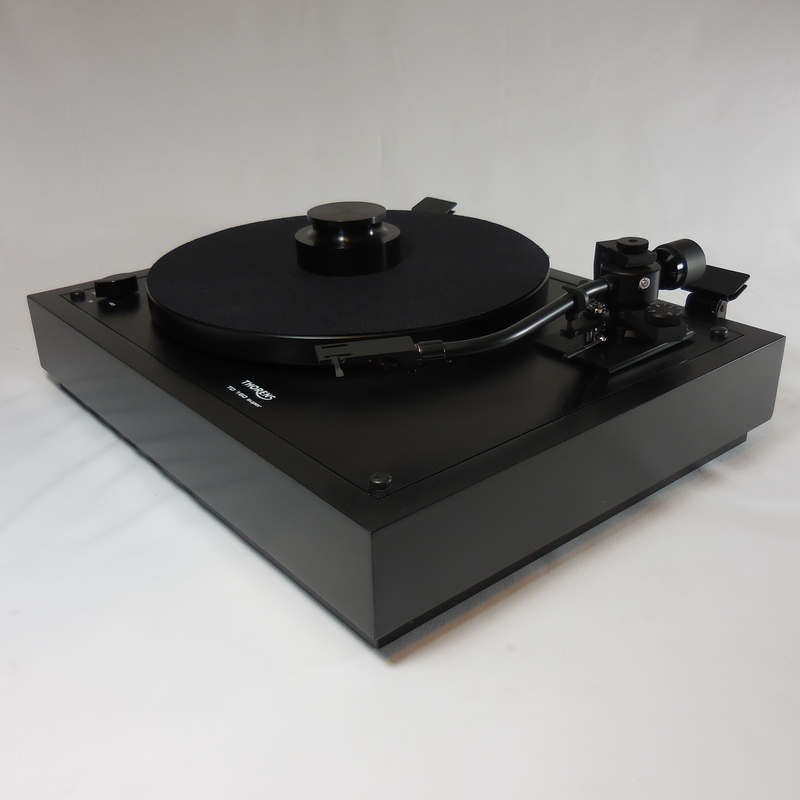 In the last five years, the Bronze is the cartridge most often paired with my turntables.